Artediez school is an indispensable place. Within the wide range of training that exists, especially private, in the different areas of Design (graphic, industrial, fashion and interior) this institute is an oasis where the concern to provide students with solid foundations and the effort to innovate and update its contents and activities are part of its DNA. 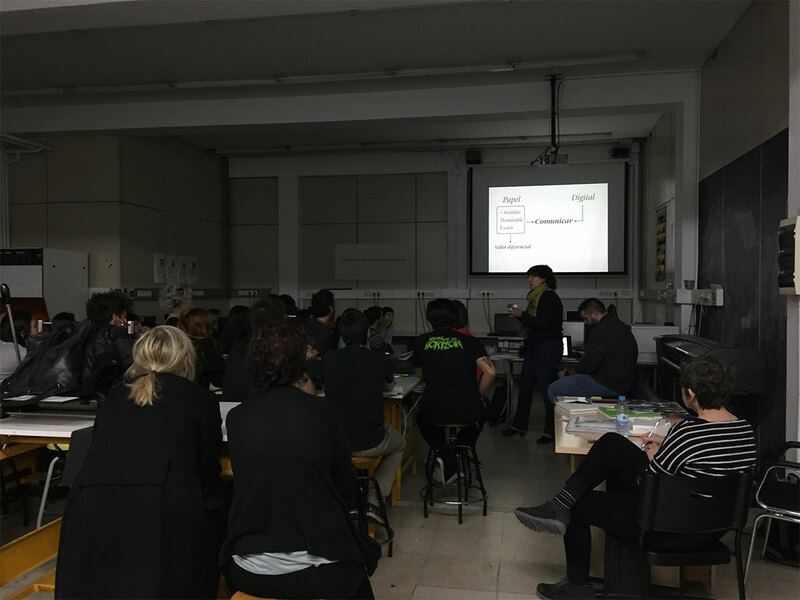 For all this, receiving the invitation to give a talk about graphic production, in the classroom where this subject is taught, to graphic design and illustration students, was a challenge and a great joy for us. 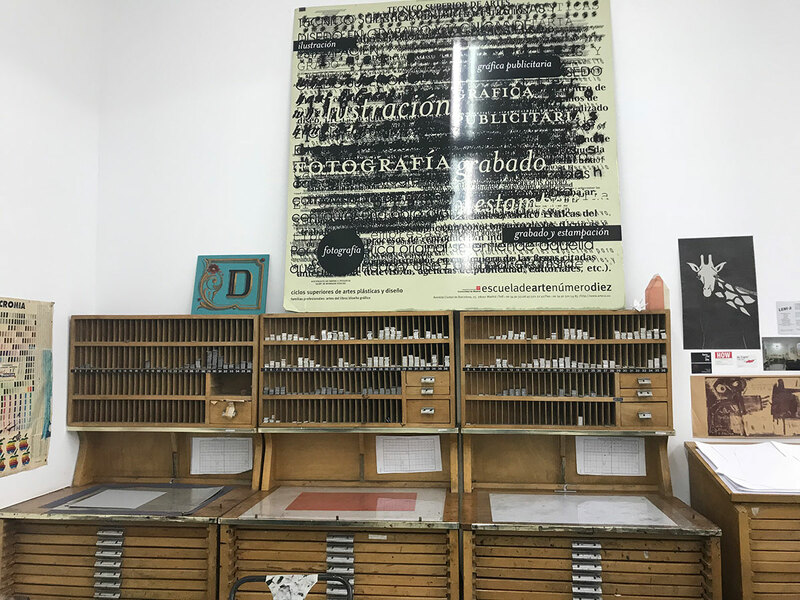 In a few places students have the opportunity to take a course in graphic production that prepares them both in their artistic development and in their professional level to carry out projects with suppliers of the sector (printers, bookbinders, paper distributors …). Our purpose that afternoon was to talk about our way of understanding graphic production as an element that makes sense within a communication strategy in which it shares protagonism with digital pieces (websites, newsletters, videos …). Make them take into account that paper communicates beyond the printed information on it. The choice of media, printing techniques and finishes also transmit values (warmth, closeness, innovation …) that must be taken into account when facing a piece. But above all, we wanted them to be aware that even though graphic production is a fascinating world, full of possibilities, it is useless if there is not a good idea before, a powerful concept that fits the needs of a project. A good graphic production does not camouflage, much less fix a bad design or a copy / paste of muddling through. With this vision, through our experience and the stories contained in the pieces that we saw in the second part of the talk, we wanted to give them some keys, tools, so that they can successfully face the projects that are presented to them in the future. When we finished, surprised and somewhat overwhelmed by the enthusiasm and the flood of questions, both from students and from the different professors, we distribute ourselves to respond to their curiosity and interest. In short, the talk at Artediez was a pleasant experience in which we received so much warmth and emotion that comparatively we think our contribution is small.